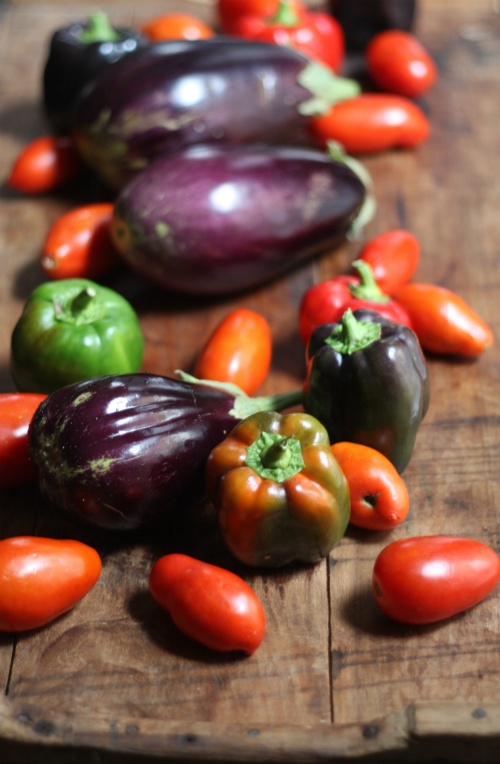 Can you believe I picked these eggplants, romas, and bell peppers over the weekend? What an abundant late season harvest! I so enjoy getting the last of the vegetables out of the garden as it feels like you are holding onto summer just a little bit longer! 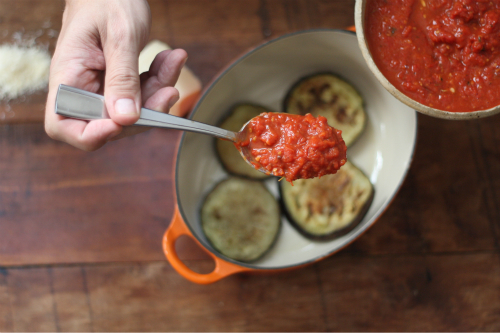 Making a tomato sauce is as simple as slicing the tomatoes and roasting them in the oven. I give a detailed step by step on my Bombolini Pasta Post from last August. 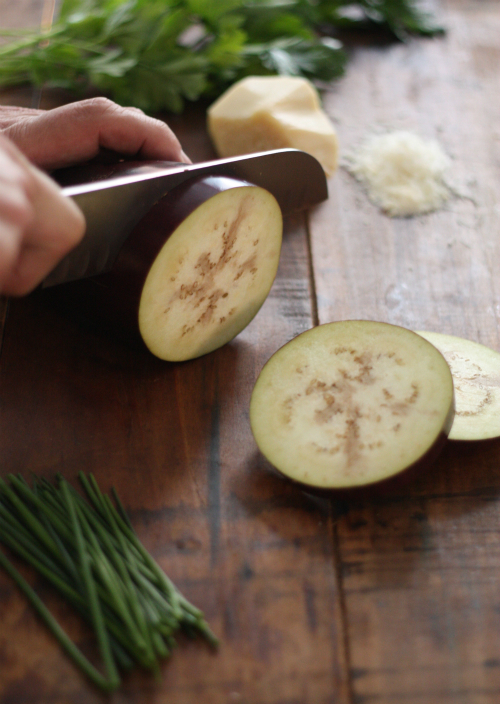 Slice your eggplant 1/2" thick, brush each side with olive oil and sprinkle with salt and pepper. 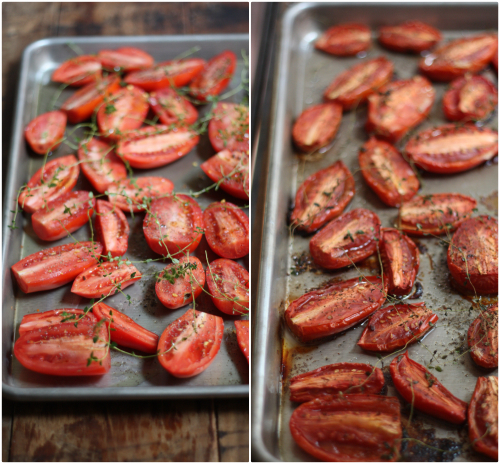 Fry slices in a pan until lightly browned on each side. 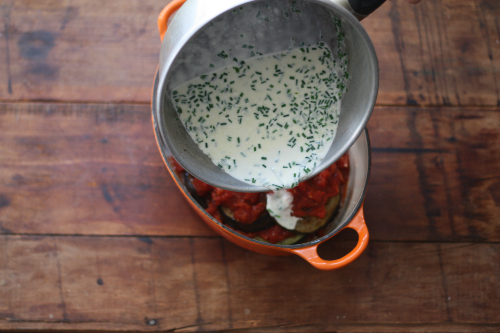 Prepare your heavy cream, bringing it to a light simmer and it reduces by half. 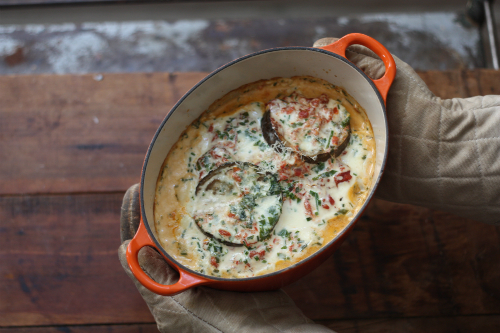 Add your chopped herbs to the cream and sprinkle in half of the parmesan. Season with salt and pepper and remove from stove to set aside. 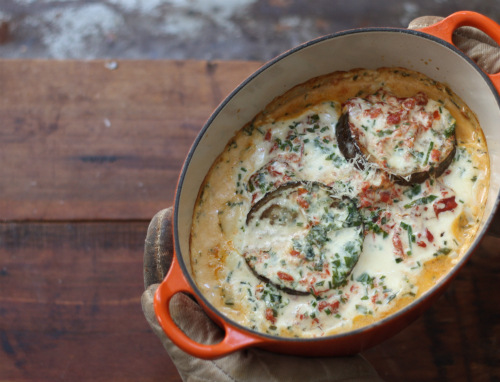 Oil the bottom of an oven safe casserole dish and start with a layer of eggplant, sauce, and sprinkle with the cheese. 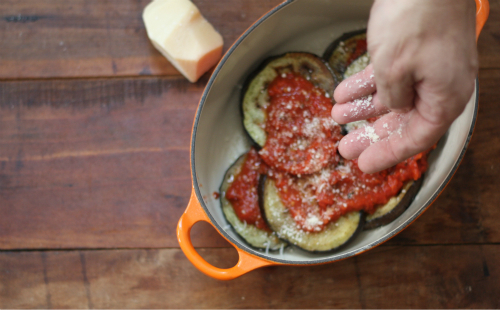 Continue to layer in this same method, finishing with a coat of sauce. 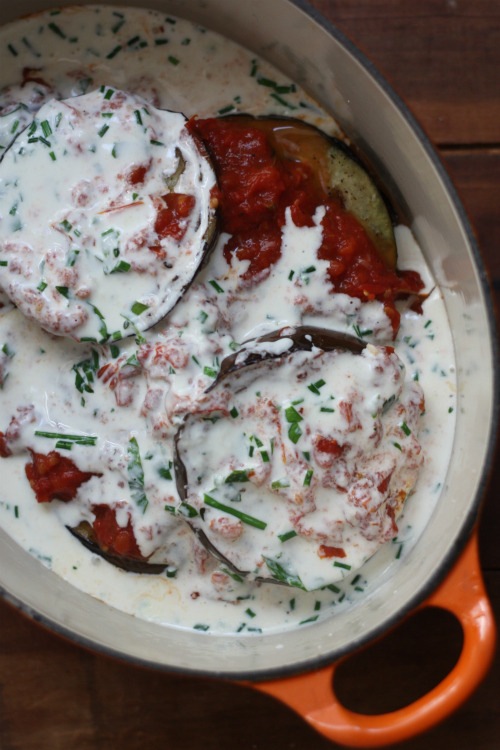 Gently pour your heavy cream sauce over the eggplant, add a generous sprinkle of additional parmesan and bake in the oven uncovered until brown and bubbly for about 25-30 minutes. Remove from the oven and allow to cool and set up. 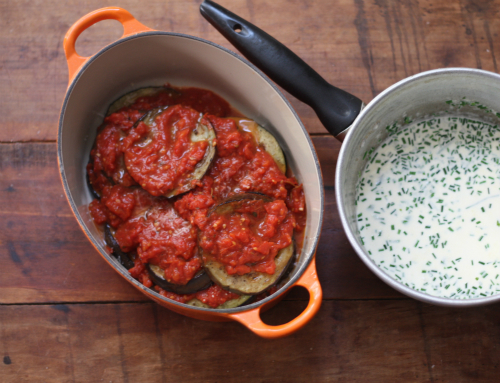 This is a wonderful twist on a more traditional eggplant parmesan and I am so happy to have two more eggplants so I can create this easy dish again in the up and coming weekend to freeze for a later date! Is there anything still coming in from your garden and what are you creating to hold on to those last bits of summer eats? What a great harvest so late in the season. It seems you got everything just in time for the colder weather. 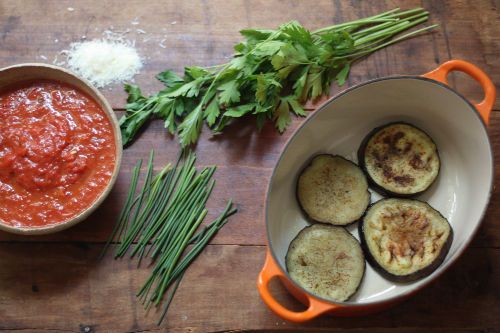 Thanks for sharing this eggplant gratin recipe.